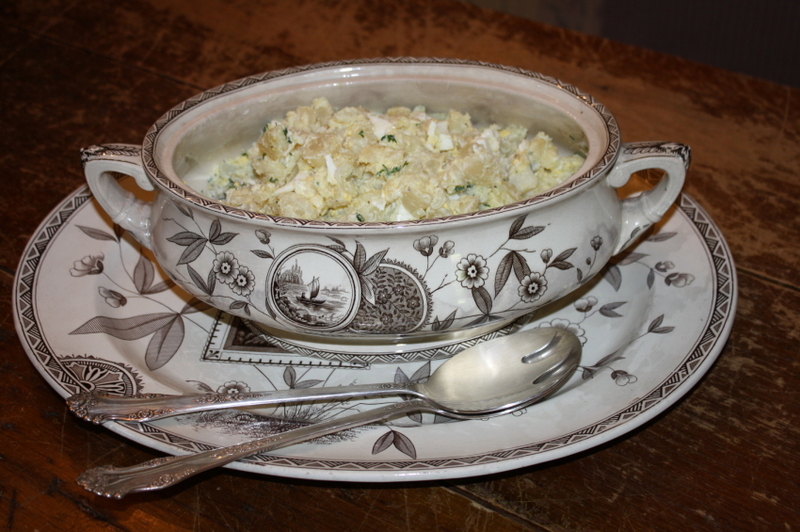 Mom’s Famous 4th of July Potato Salad | Cape May Antiques Inc.
Mom’s Famous Potato Salad for the 4th of July! 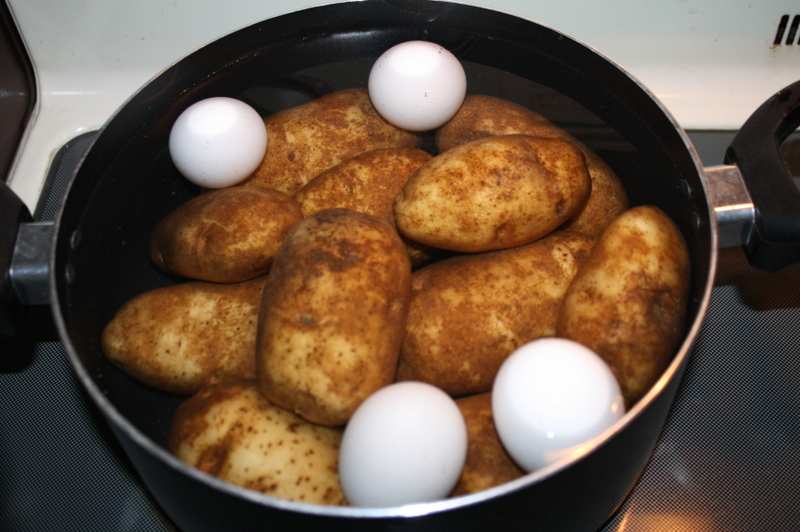 Boil your potatoes and eggs in one pot. 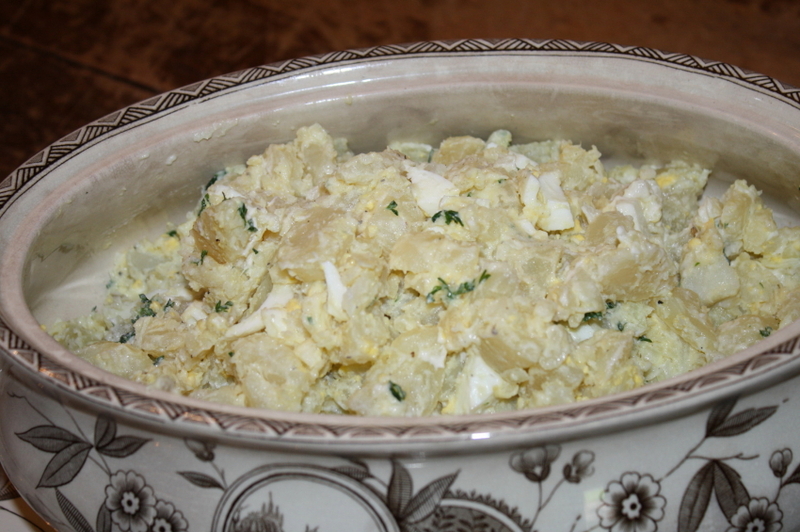 Boil the eggs for about 8 minutes and the potatoes about 20 minutes until fork tender. After the potatoes cool and the eggs as well, peel them both. Cut into bite size pieces. Dice up your onion and parsley. In a large mixing bowl gently toss potatoes, eggs, salad dressing, salt, pepper, onions and parsley. And as Mom says, taste to test! Add more S&P as you like. Mom’s special secret too is to add a drizzle of olive oil at the end..adds a nice fresh taste! 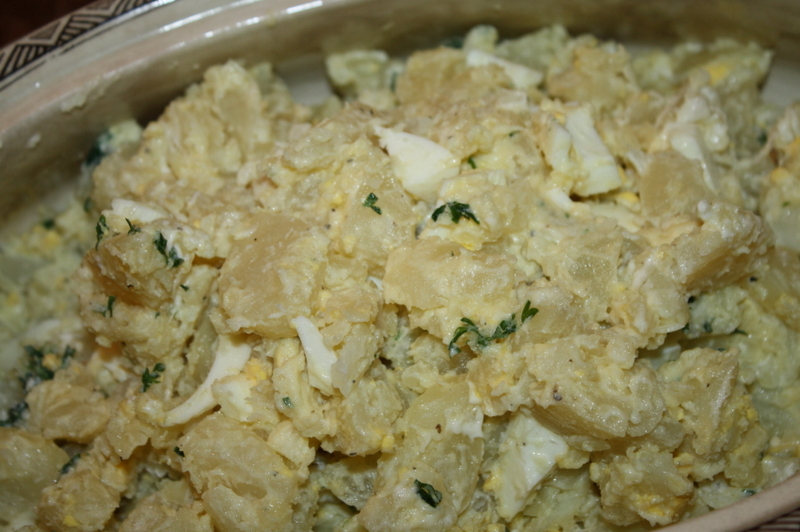 Here are some photos of the potatoes and eggs boiling together to save clean up time and our potato salad all ready to go to the party!